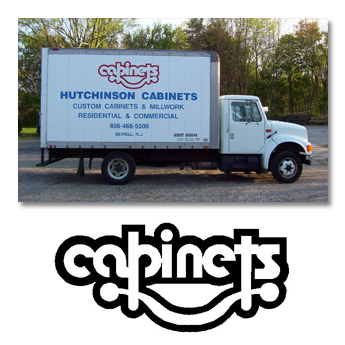 Hutchinson Cabinets is a family-owned-and-operated business that was established in 1976. We provide custom architectural millwork to a variety of clients in the New Jersey metropolitan area. Our business operates out of a newly refurbished 40,000-square-foot facility that sits on five wooded acres alongside the beautiful Maple Ridge Golf Course (formerly Ron Jaworski's Eagles Nest) in southern New Jersey, 15 minutes outside of Philadelphia, Pennsylvania. We specialize in custom manufacturing products for commercial, institutional, and high-end residential customers. Our main focus is on producing cabinetry for hospitals, banks, schools, tenant/office fit outs, and assisted living facilities. Most of the company's growth and success can be attributed to all of the hard work and dedication given by its valued employees. Working at Hutchinson Cabinets is like being part of a family. We have a very close-knit environment where everyone cares greatly about the finished product and our reputation in the industry for quality work. We thank all of our clients, suppliers, vendors, trade and business associations, and Local 252 for helping us build our enterprise into the success it has become today. Call us at (856) 292-8396 or email our experienced staff today with all of your project needs! Women-owned Hutchinson Cabinets is a union business in addition to being a certified WBE and SBE business in New Jersey. Henrietta (Etta) Hutchinson is the company's majority owner. We are a member of the Architecture Woodwork Institute (AWI), Local 525 Union, and DuPont™ Corian™ Certified Applicators.